Los Angeles Museum of Art (LACMA) features an an amazing exhibit called the Rain Room. It’s an immersive environment of perpetually falling water that pauses wherever a human body is detected. 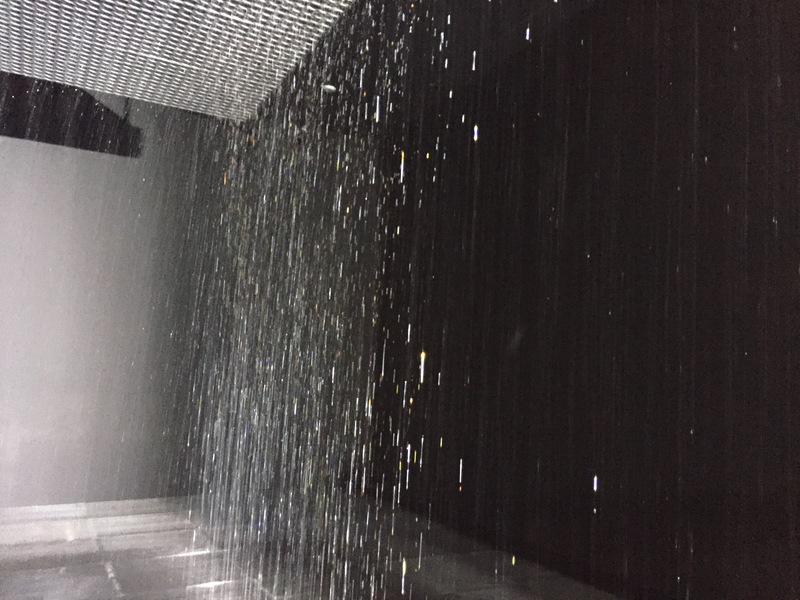 The installation offers visitors an opportunity to experience what is seemingly impossible: the ability to control rain. Rain Room presents a respite from everyday life and an opportunity for sensory reflection within a responsive relationship.